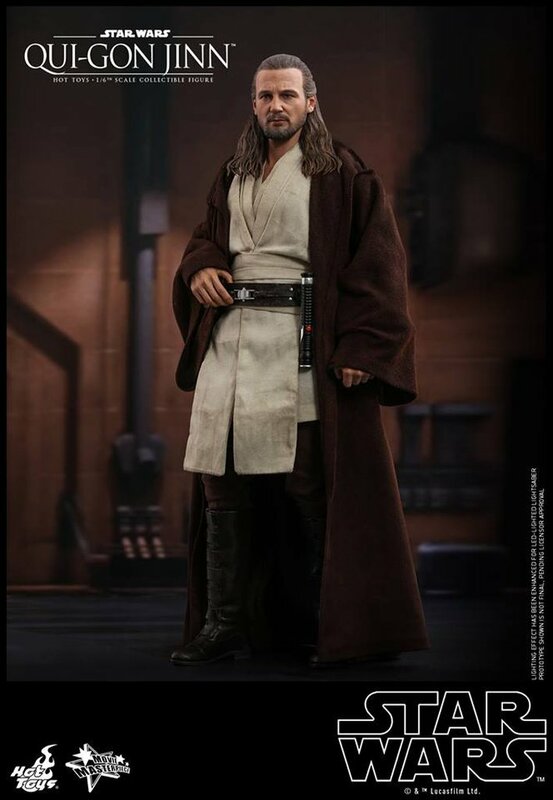 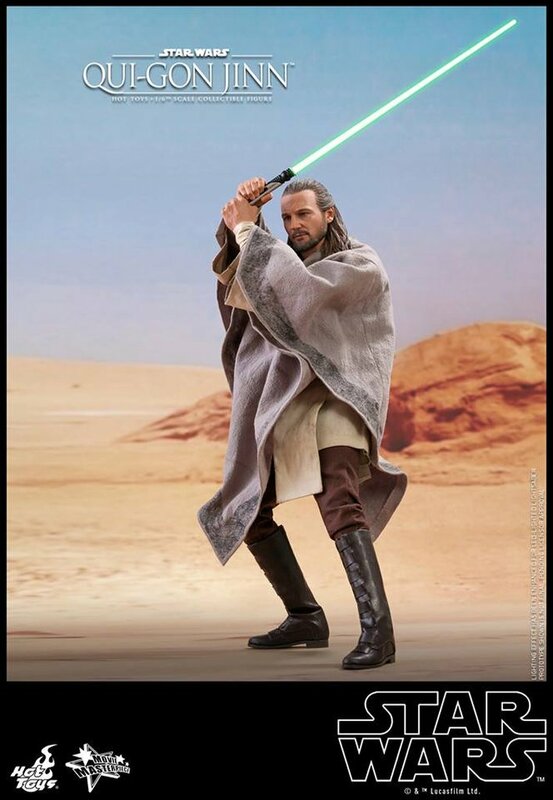 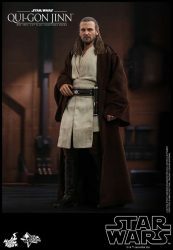 Hot Toys have posted photos to their Facebook page of their new 1:6 scale Qui-Gon Jinn figure. 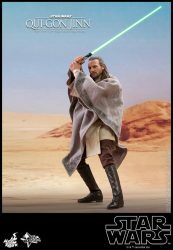 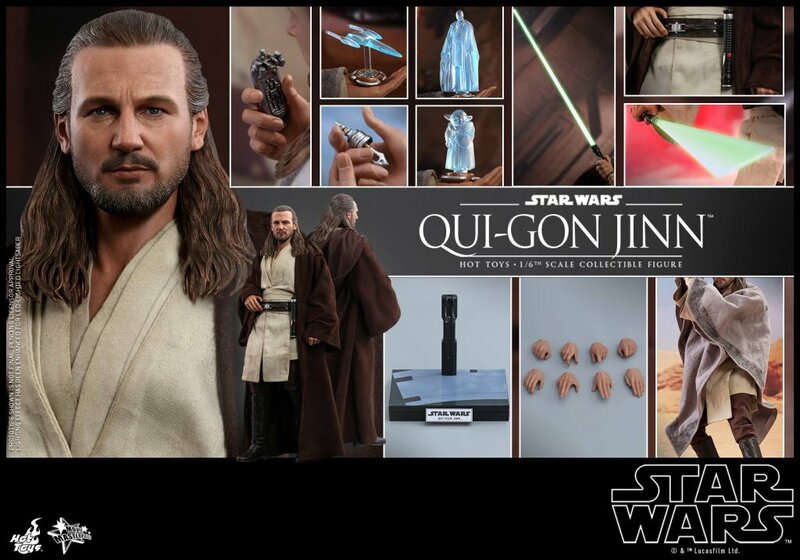 From Star Wars: The Phantom Menace, Qui-Gon will include Jedi robes, a poncho from Tatooine, interchangeable hands, a light-up lightsaber with both static and motion blades, a communicator, hologram projector with attachable holos of Yoda, Mace Windu, and the Queen’s starship, grappling hook, and themed stand. 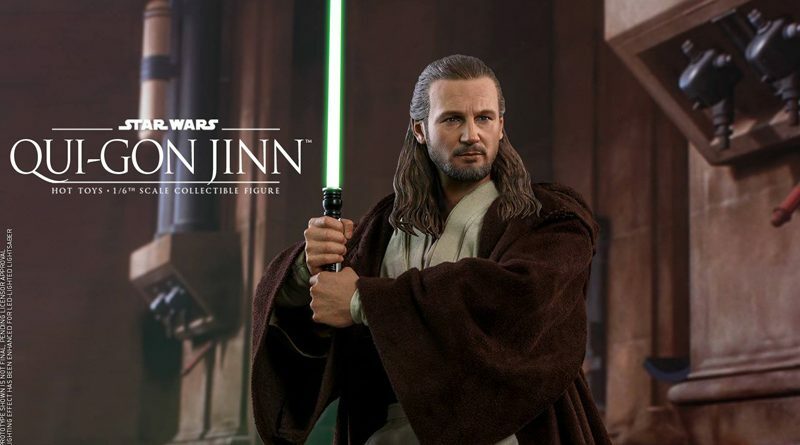 Additional photos and information can be found on the Hot Toys Facebook page and we’ll post when Sideshow makes him available for pre-order. Update: Qui-Gon is now available for pre-order from Sideshow Collectibles. 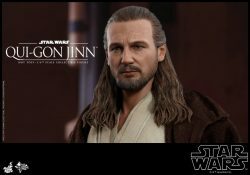 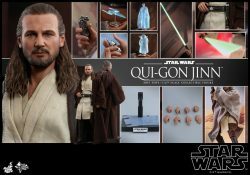 Qui-Gon Jinn is priced at $235 with an estimated arrival between January and March 2020.